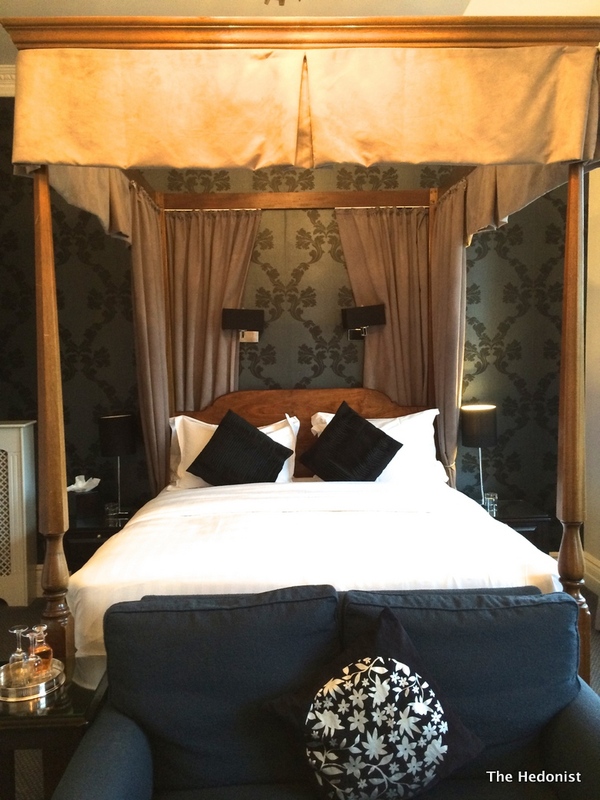 Cannizaro House Hotel is a curious hybrid. 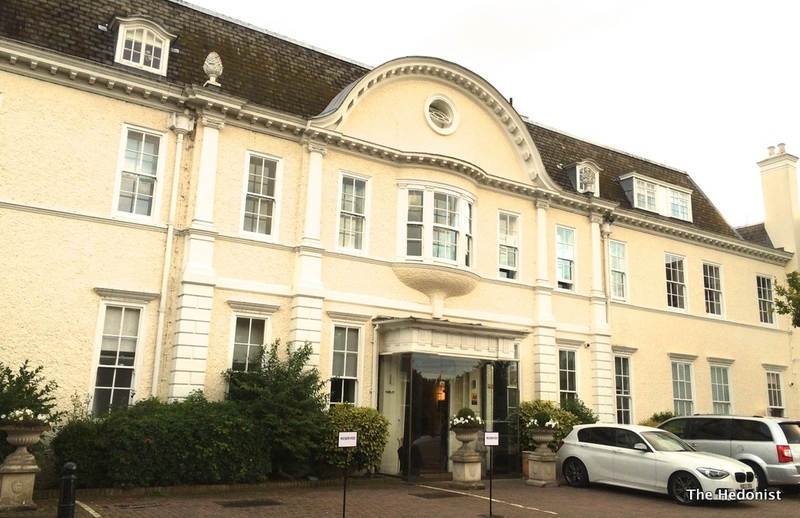 Situated in the heart of Wimbledon Common, from the outside it looks like a rather elegant country house hotel, however the interiors mix up the classic with a slightly disconcerting blend of Soho style and Essex chic. I got to investigate one of the rooms as Fiona was staying over but my real mission was to review the restaurant which we had been invited to do. We opted for the five course menu (£50) with wine pairing which was a £30 supplement. 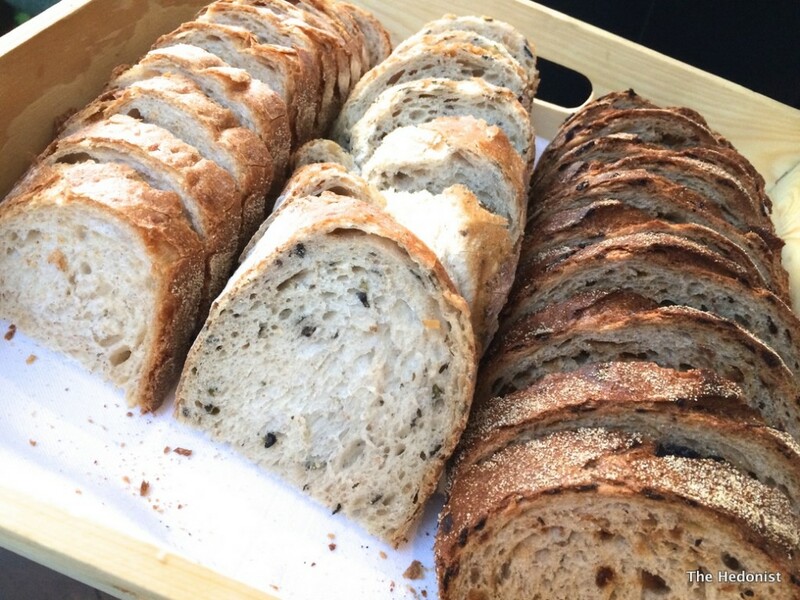 Bread was freshly made with good flavour and consistency. First out of the kitchen came some flaky poached salt cod with mash, mint crumb and samphire garnish. As a pre-starter it boded well with contrasting textures, colours and flavours. Our first wine was a well-balanced 2012 Villa Wolf Pinot Blanc from German producer Ernst Loosen with floral and baked apple notes. 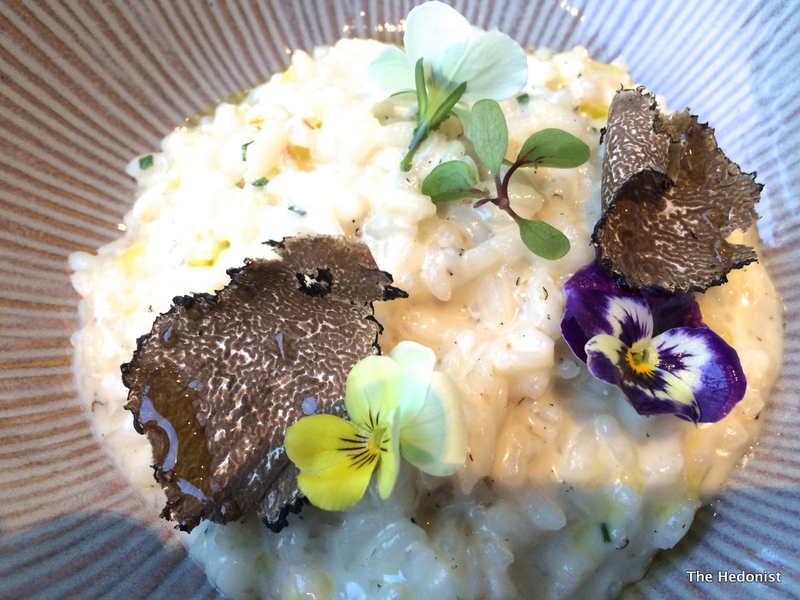 Next out was a beautiful risotto made with arborio rice, black truffle and mascarpone. It was crunch and nutty but simultaneously unctuous and rich. 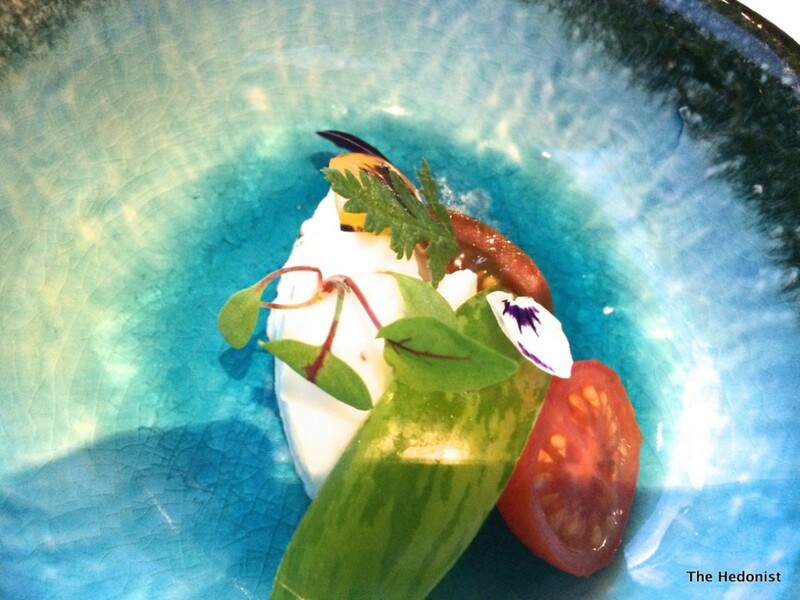 A deconstructed gazpacho came with a smoked consommé and buttermilk ice to create a beautiful and delicate dish. 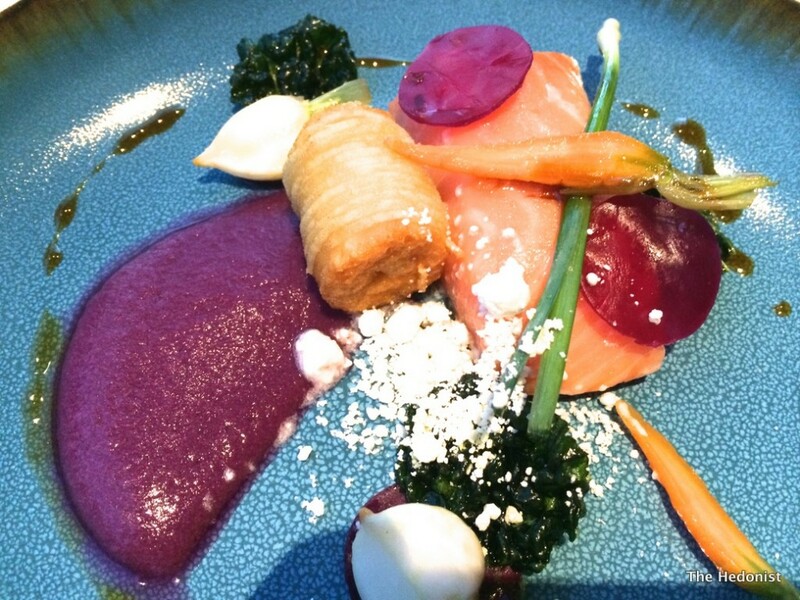 Salmon came slow-cooked at a low temperature with an overly vinegary beetroot purée, a salmon purée spring roll and baby vegetables. 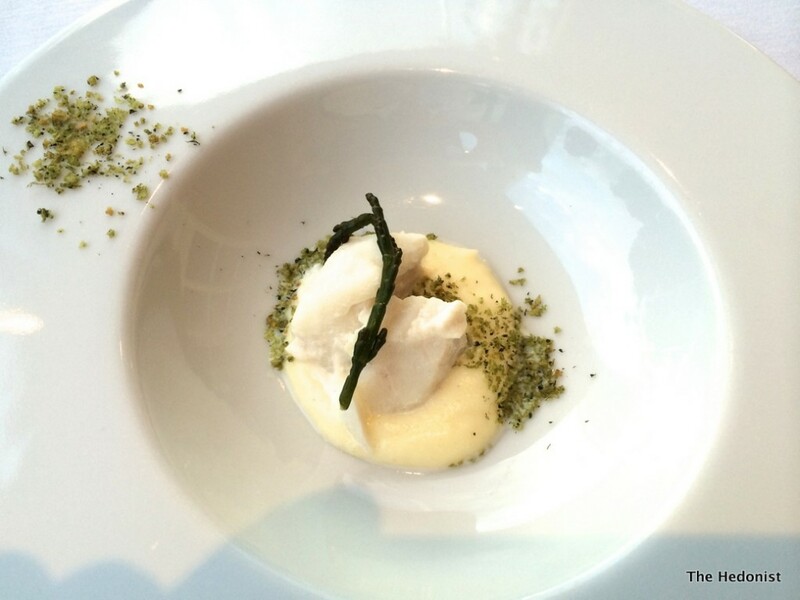 This was a pretty plate that was well matched with our buttery 2012 Saint-Marc Chablis. 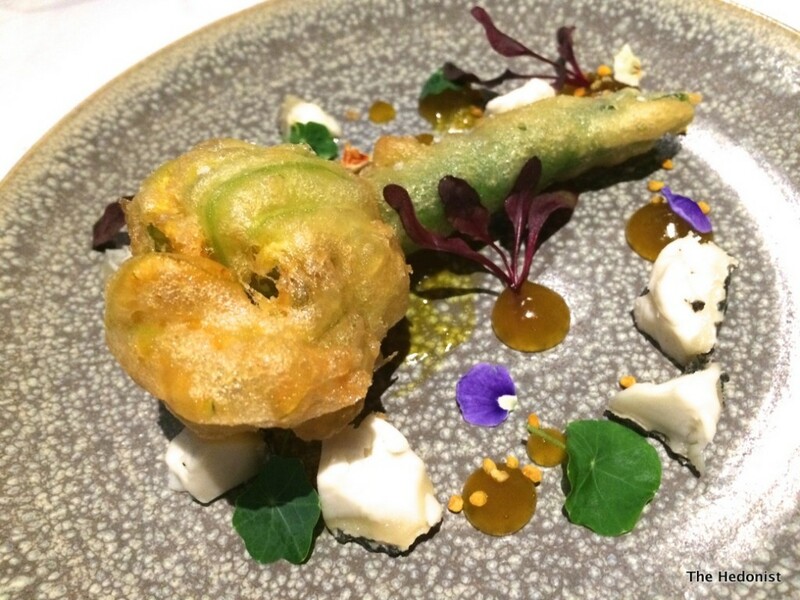 Deep-fried Courgette Flower came with goat’s cheese, bee pollen and a yuzu dressing. This was another deconstructed version of a classic but I think I prefer the old-fashioned version in this case. Our accompanying 2012 Pinot Noir Jean-Marc Pillot was a good blend of fruit and tannin. 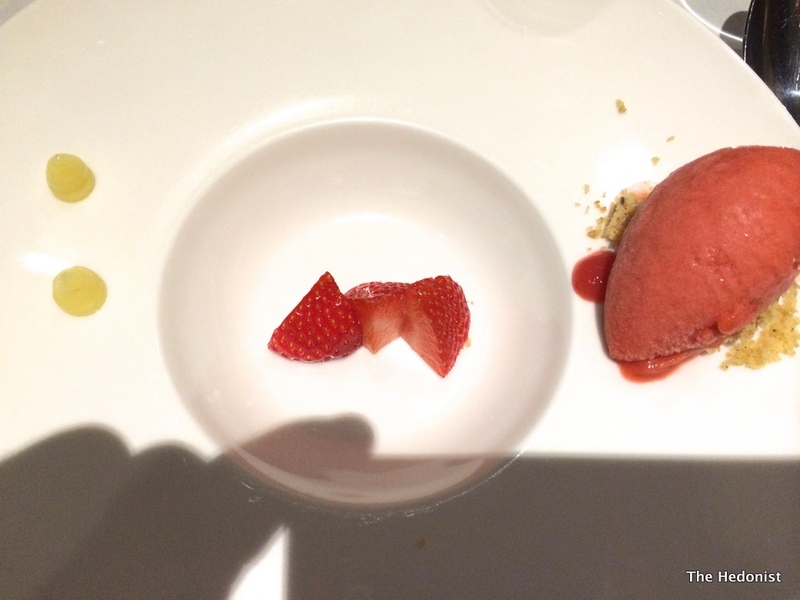 Armed with a glass of sweet, fruity and fresh Castelnau de Suduiraut Sauternes 2007 we tackled the Strawberry Sorbet which was full of flavour but marred by annoying plating. 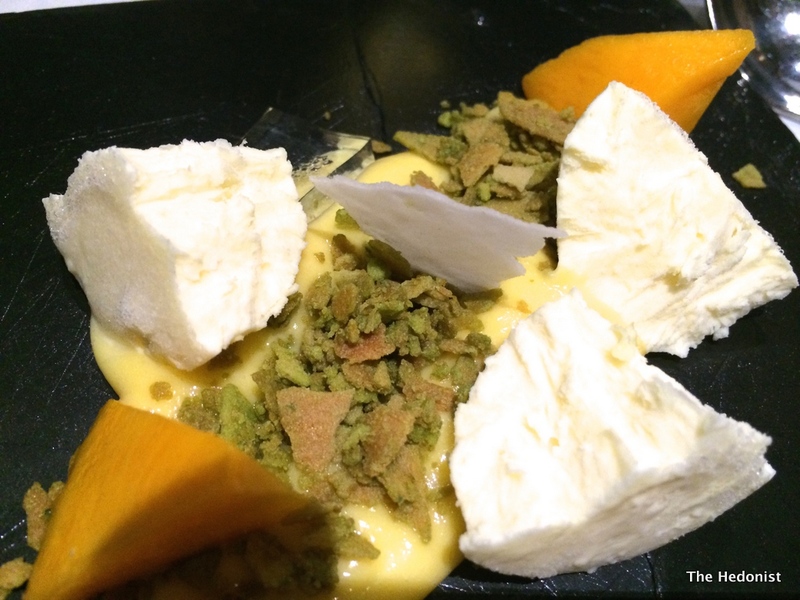 However the Pina Colada parfait with passion fruit, mango, a coconut rum jelly and dehydrated flakes of matcha tea was a wonderful dessert on all fronts and not too sweet. 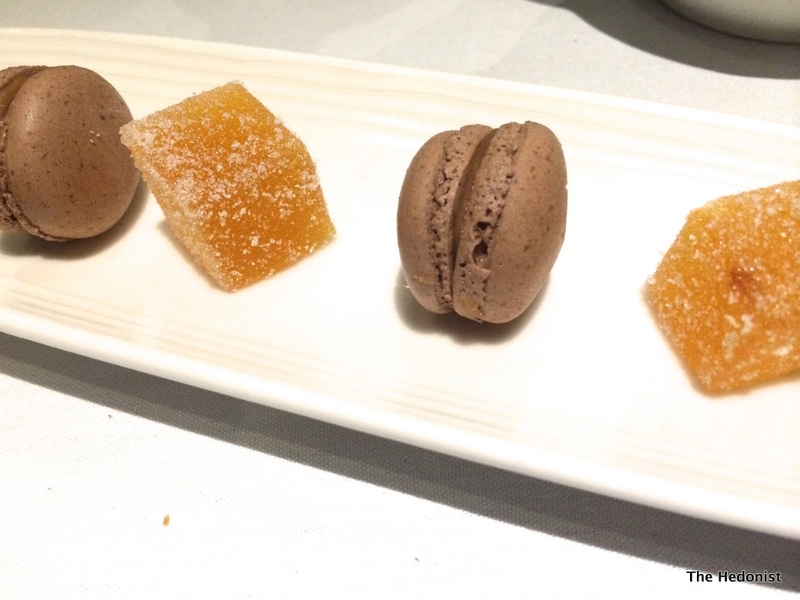 With chocolate macarons and passion fruit jelly to finish this was a dinner from an accomplished kitchen with ambition and technique. Service was friendly without matching the level of skill shown in the food preparation, and the wine pairings were intelligent and interesting. 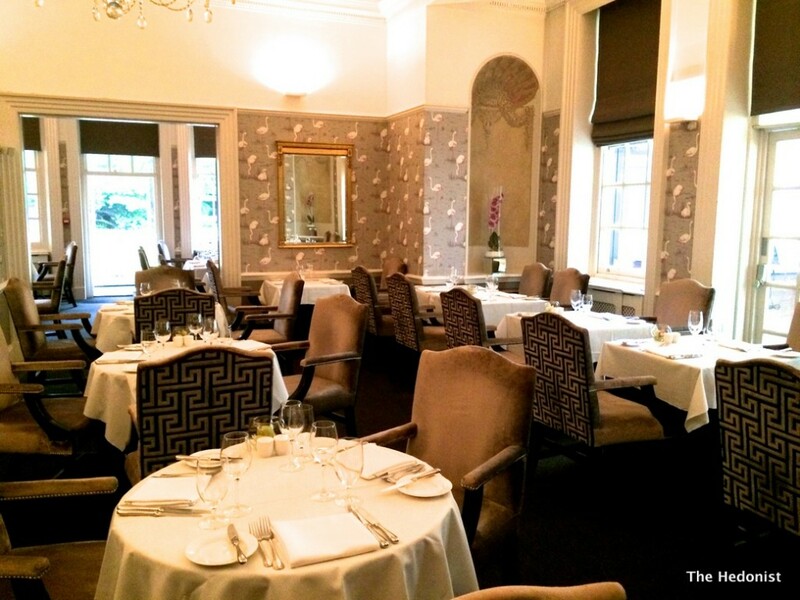 For fine dining in Wimbledon Cannizaro House is well worth a visit.